Kinda skipped Tuesday’s Treasure Chest this week, I was with my BFF in Raleigh while she was having a procedure done. Cindy is amazing, you all would love her, she is fighting that cancer fight and her spirit is unstoppable! I am thankful to know her and grateful that she is my friend. 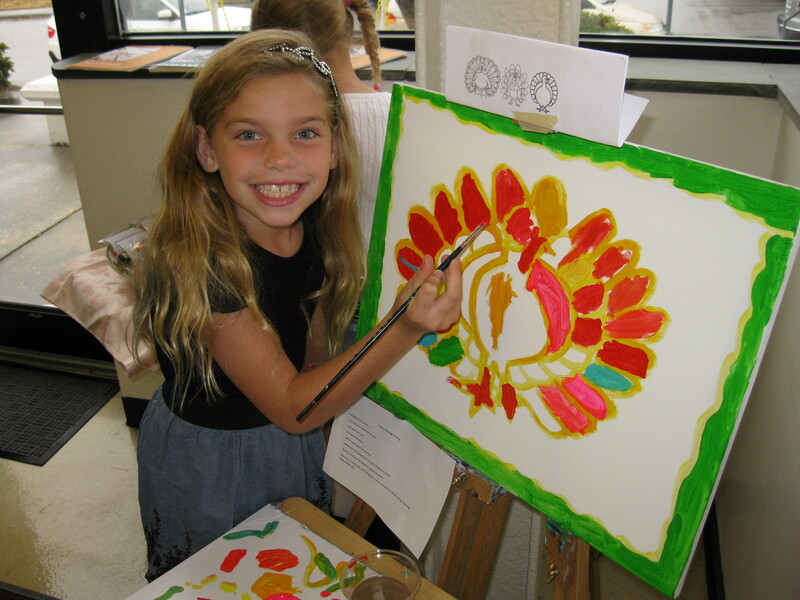 Another thing I am grateful for this Thanksgiving is the opportunity to work with children who want to learn about art. 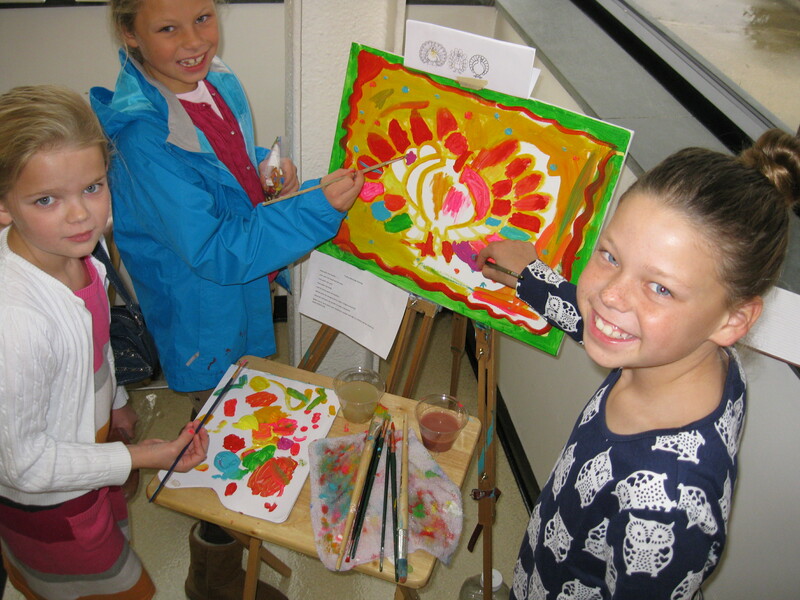 This past Sunday I had an artists’ reception for my little artists at our local library in Elizabethtown, NC. This was the happiest art show I’ve ever been to! 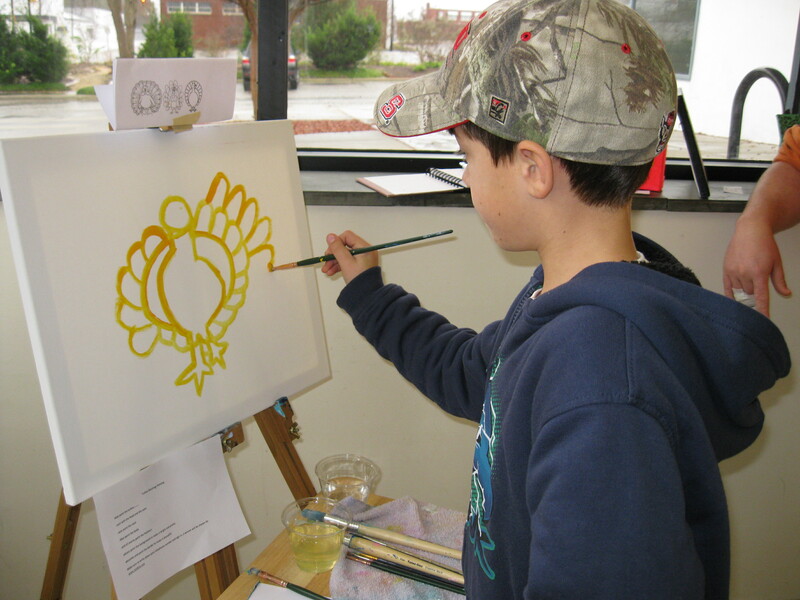 They started a participatory painting of a turkey, most everyone helped paint it that afternoon. Via www.random.org, my student Ruth Ward won the painting. The turkey is done, let’s begin celebrating Thanksgiving! 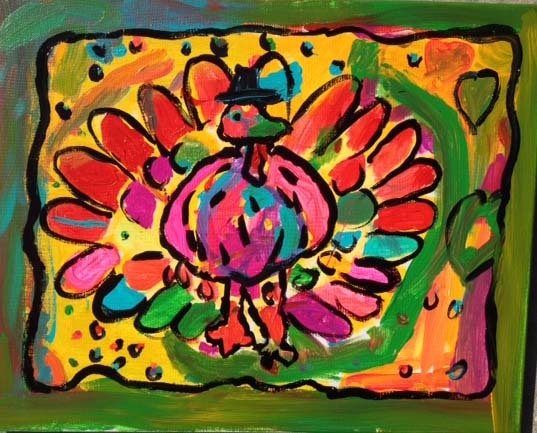 I am grateful for you too………..thanks for following my blog and supporting the arts! Here’s hoping you all have an amazing Thanksgiving! I love Cindy’s angel. What a powerful message. Also, the turkey turned out amazing. Happy Thanksgiving. 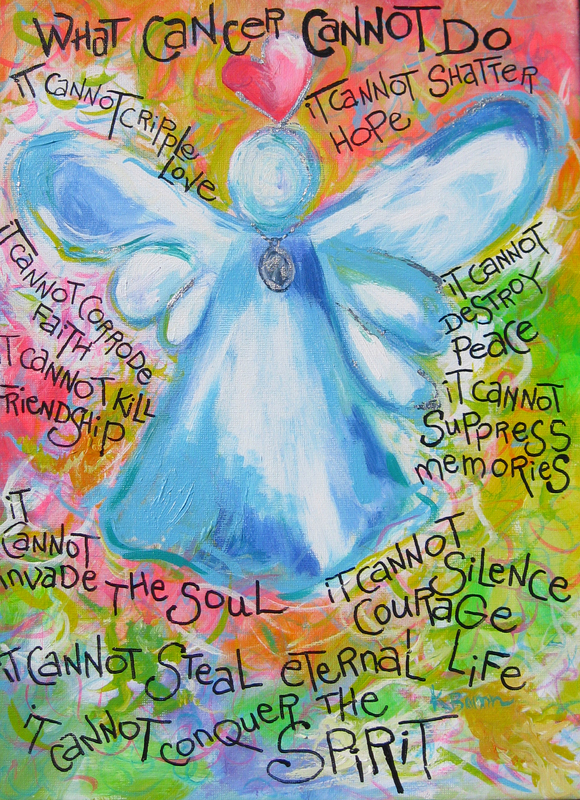 Thanks for being here yesterday and thanks so much for creating “Cindy’s Angel” on my behalf. One of my favorite paintings. Love ya! I love you Betty-Happy Thanksgiving!